Duck and Bird Antique Decoys | Mallar Decoys | What's in your attic? 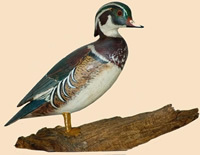 We list various decoys on e-bay. Please click the icon below to view all of our decoys now for sale.